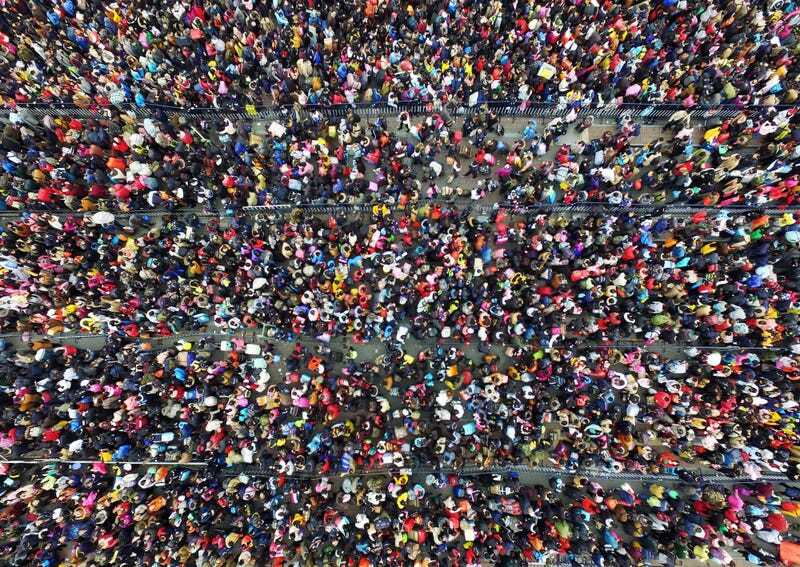 People in China have been trying to travel across the country for the upcoming Lunar New Year holiday but some — if tens of thousands of people can be considered just some — have been stuck in one of the most insane human traffic jams in the world at the Guangzhou Railway Station in southern China. CNN reports that 100,000 people were waiting earlier this week while 33,000 are still stuck as of Wednesday morning. So many are stuck in this horrible jam because so many people are travelling over the holiday. 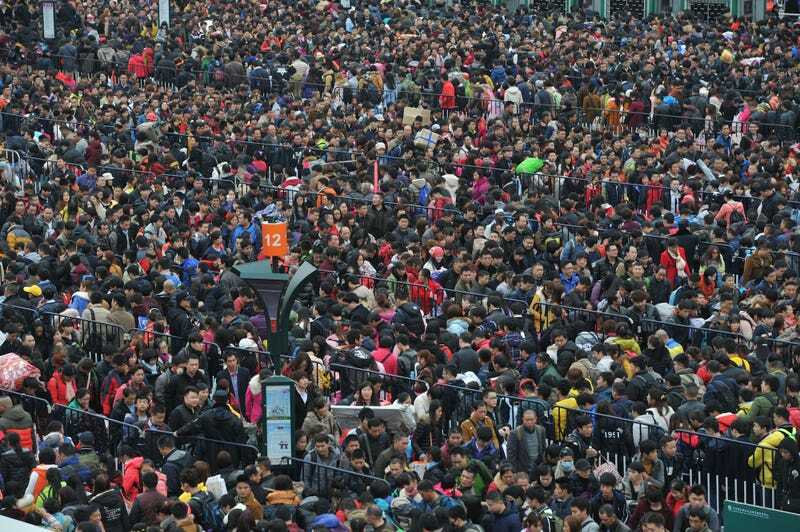 Chinese authorities expect over 2.9 billion trips to be made during the Spring Festival holiday with 332 million being railway passengers. Many trains were delayed because of the winter weather.